Churchill became PM for a second time on October 26th, 1951, only a month away from his 77th birthday. The day before the general election in October 1951 Winston Churchill wrote to Lord Beaverbrook: 'I hope we may both take our revenge for 1945.' Though long past any normal human being's retirement age, only a month away from his 77th birthday, he was still smarting from his defeat after the War. Churchill had made a party political broadcast on the radio on October 8th, widely regarded as his most effective effort since the War, in which he described the difference between the Conservative and Labour outlooks on life as the contrast between the ladder and the queue. The Conservatives won 321 seats against the Labour Party’s 295 with nine seats for the Liberals and others. 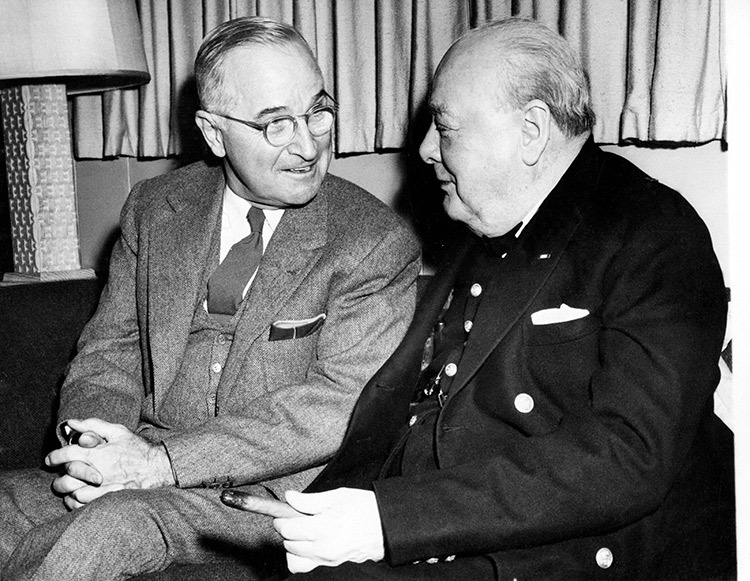 At 5pm the next day, Attlee went to Buckingham Palace to resign and an hour later George VI received Churchill at the palace and asked him to form a new administration. Churchill drove away through a cheering crowd. Cabinet-making began immediately. Churchill was prime minister and minister of defence. Eden became foreign secretary for the third time. The chancellor of the exchequer was R.A.Butler, Sir David Maxwell Fyfe was home secretary, Lord Woolton was Lord President of the Council and Harold Macmillan was given housing and local government. ‘I do hope Winston will be able to help the country,’ Clementine Churchill wrote to a friend on November 4th. ‘It will be uphill work, but he has a willing eager heart.’ Her misgivings proved unfortunately justified. The impression given by Churchill’s doctor, Lord Moran, of the great man already becoming hopelessly senile has been challenged, but he suffered a minor stroke in February 1952 and a more serious one in June 1953, and it grew ever clearer that he was no longer up to the job. Eventually, with the utmost reluctance at the age of eighty he stepped down in favour of Eden on April 6th, 1955.